Spiritual growth entails dedicating ourselves to a conscious and continuous effort to awaken to Truth. We do this through studying sacred texts—such as the Bible, the Koran, and the Upanishads—and integrating the teachings into our daily lifestyles. Sharing together within a spiritual community offers an avenue of mutual encouragement and sustenance. Another major means of integrating Truth teachings is via recognizing our error thoughts and transforming our thought patterns in accordance with Truth. Our error thoughts create havoc in our life experiences. We may transform our lives by denying the error thought and affirming the Truth concerning our particular challenge. For example: One of the most prevalent error thoughts on our planet is belief in the existence of lack. We often limit severely our life’s expression by thinking in terms of lack. “I can’t afford to return to college and prepare for the vocation of my dreams.” Another error thought that cripples many of us is the belief in dis-ease or illness. “I have a terminal disease; therefore, I don’t have long to live.” We may be stating our present life experience; but it need not be a permanent condition. An error thought is thinking that is not based in Truth. We think error thoughts because we have forgotten who we are. Instead of the Sons and Daughters of our Father/Mother God that we truly are, we think of ourselves in terms of our physical bodies and personalities, both of which are non-permanent. The allegorical story of Adam and Eve reveals that we chose to leave behind the innocence of knowing only the good and to, instead, experience life with a knowledge of good and evil. In doing so, we forgot who we are. Now, the majority of us are dead to our true selves. As a result, we experience life in terms of illness, lack, and belief in separation from God. We have forgotten that as Sons & Daughters of our Father/Mother God, we inherited perfect health, perfect vocation, and perfect abundance of supply for all our needs. Jesus urged us to awake from the dead. He taught us: “Ye are gods.” The secret to transforming our error thinking is to recognize and accept the truth about ourselves: we are the child gods of our Father/Mother God. Thus, our present task is to wake up to who we truly are. Charles Fillmore, the founder of the Unity Movement, taught interpreting the Bible on layers beneath the surface. It is on these hidden levels that we find much truth. Lazarus means in Hebrew “whom God helps” and affirms that God helps each of us. The stories about Jesus, our elder brother, illustrate what you and I are to be and to do once we awaken to our true identities. Thus, it is the God within all of us who speaks through Jesus. The Biblical stories are our stories; they depict the pathway we trod as we wind our way back to awakened consciousness. Returning to the beginning of the story … Lazarus is ill. Jesus realizes that his illness is to be a means of glorifying God and awakening humanity to Truth. Because we all buy into the error thoughts of illness, deprivation, and separation, we become sick. We cannot live healthy lives while focused on error thoughts. We are what we think; thus, with our error thoughts, we create illness, lack, and suffering in our lives. Jesus does not rush to Lazarus in an effort to heal him. He understands that something greater is to occur. Likewise, the God within us has granted us freewill and allows us to learn at our own pace. Even though we may pray for healing, our indwelling God knows whether or not we are ready to be healed. It may take something more drastic to enable us to maintain the persistence required to give up our error thinking. If healing comes too easily, we tend to slip back into our old habit patterns. So Jesus waits two days before beginning another two days walk to Bethany. By now, he knows Lazarus is dead. Lazarus, symbolizing you and me, has continued in error thinking to the point of death to the expression of truth in his life. He is now buried in a tomb of materialism and non-truth. Jesus tells his disciples he is glad, for their sake, that he did not go immediately to Lazarus. He knows that as the disciples and the crowds behold Lazarus awakening from the dead, their understanding of truth will increase. Often, as one of us suffers and overcomes, those around us grow in understanding. Frequently, divine order unfolding has a greater Good in mind—far greater than the good for which we so impatiently pray. As Jesus and his disciples near Bethany, Martha, Mary, and the people run to meet them. They are weeping. Jesus weeps in empathy for them. He, too, has experienced the difficult task of beholding Truth while living in a world ruled by non-truth. According to Fillmore, Martha represents the part of us that defines life by what we can see with our physical eyes. Mary signifies our ability to be spiritually attuned when we so choose. Both greet Jesus, the healer, with the words, “If you had been here, my brother would not have died.” Remember Lazarus is all of us. The error thought, ruling both Martha and Mary, is the belief that healing comes from someone or something outside ourselves. The people are weeping because they believe they are powerless in the face of illness and death. Even though the “Mary part of us” (meaning our ability to attune to Spirit) is willing and makes the effort, we automatically turn to something or someone outside ourselves to do the work for us. Mary and Martha depend upon Jesus because they perceive him as having powers they do not possess. Speaking for the Father within each of us, Jesus reminds them, “I am the resurrection and the life.” We have, within ourselves, the fulfillment of all our needs. Life resides within us. The power to heal nestles within us. Universal abundance permeates our being. The capacity to think Truth, instead of error, is inborn within us. Jesus asks Martha and Mary to take him to Lazarus’ tomb. His tomb is a cave with a large stone covering the entrance. Caves are hidden within a mountainside. They are dark. Error thinking has created a thick wall of darkness around Lazarus. The large stone, rolled in front of the cave entrance, adds to the depths of this darkness. Escape, by physical force, would be impossible. Inside, Lazarus is wrapped in burial cloths, causing his physical hands to be useless. A burial napkin covers his face; he cannot see with his physical eyes. Lazarus’ physical being is immobilized. Life has been snuffed out of him. As long as we focus solely on the physical plane and buy into the error thoughts that are predominant within our society, we are dead to life and Truth. We are truly, “dead men and women walking,” attempting to live our lives as best we can. We walk in the darkness of error thinking. And, because we have done so for eons of time, we are wrapped in burial cloths and napkins, unable to see the Light of Truth. The ways of the physical plane world snuff out our view of the life and light of Truth. The only way out of our dark tomb is to follow the Light of our indwelling God. Within the physical cave of our error thinking, all is dark. We are bound and cannot see. But, we are also a “Lazarus,” whom God helps! Jesus, a Wayshower, asks to be taken to our tomb. He is “disturbed in himself” because he knows how difficult it is for us to see beyond the world and its ways. Our own faith must be activated. We must learn to live from the inside out. We possess the gift of freewill and must choose to face the Light. Not even our indwelling God has the right to interfere with the way we live our lives. And, yet, we lie in a tomb of darkness. How are we to escape? Jesus, speaking for the God within each of us, asks that the stone blocking the cave entrance be removed. We must want the stone removed. We must be willing to release our error thoughts and focus, instead, upon affirmations of Truth. We must be open to the world of Spirit. And most difficult of all, we must surrender to the unfolding of divine order in our lives. Once the people removed the stone, Jesus prayed a prayer of thanksgiving. He did not wait until Lazarus awoke from the dead. He gave thanks, knowing God had already answered his prayer. Jesus knew that he, Lazarus, and all of us are Sons and Daughters of God and therefore, have inherited all that Our Father/Mother God has created. In order to roll away the stone of darkness in our lives, we must recognize our true identity as child-gods. We inherited a kingdom in which there is no suffering or darkness. We must recognize that kingdom and its omnipresence with us. Jesus called out in a loud voice, “Lazarus, come out!” The loud voice signifies the persistence and strength needed to let go of the world’s darkness and to come out into the light. When Lazarus emerged from his tomb, Jesus ordered the burial cloths removed. His command, “Let him go,” announces that Lazarus is now free of the burdens of the world. He is free to walk on Earth in the Light. 1John 10:34. 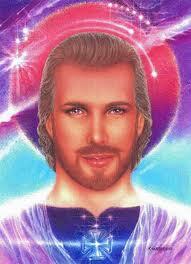 According to the Edgar Cayce Readings, Asaph was one of the incarnations of the soul of Jesus. Asaph was appointed by King David to be his chief musician. When King Solomon dedicated his Temple in Jerusalem, Asaph was placed in charge of the Temple musicians. Asaph wrote Psalms 50, 73-83. Thus, Jesus speaking in John 10:34, is quoting himself in Psalm 82:6: “I have said, You are gods; all of you are children of the most High.” You might like to read Lives of the Master: the Rest of the Jesus Story by Glenn Sanderfur and based on the Cayce Readings. 2Many use this story of Jesus weeping to demonstrate that Jesus experienced grief over his friend’s death. Not so. Jesus deliberately made no effort to travel to Bethany until he could tell his disciples, “Lazarus is dead.” Jesus knew the divine plan. He weeps to see his friends and the crowd blinded to the Truth that there is no death. Because they are blind to Truth, they suffer anguish. Jesus weeps to behold how much we, his brothers and sisters, suffer because we have forgotten who we truly are. 3Charles Fillmore, Metaphysical Bible Dictionary (Unity School of Christianity: Unity Village, MO, 1931) 397.